We'd like to be there, too. 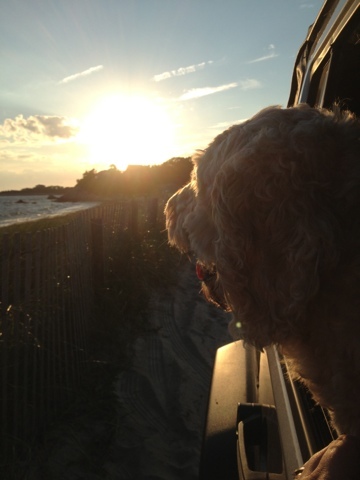 SHE spent a summer on Cape Cod.....years and years ago. Oh my dawg. I wish I was there too! Mom days that place is on her bucket list. 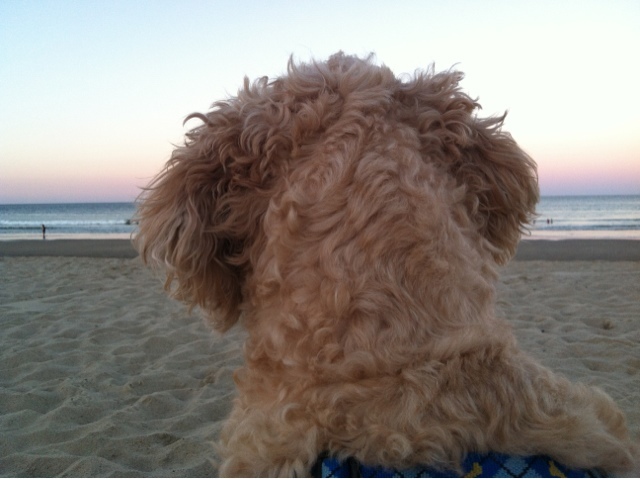 Murray you make a pawsome beach bum. Have a terrific Tuesday. You have one cute sandy nose! OMD, you been out swimming and now relaxin in the sand, we are so jealous. Have like 87 tons of fun for us. BOL, you blend right into the sand! We might miss you. Enjoy every minute of it!! Does the sea air make your furs go all crazy wild like they do to our Auntie Kym BOL! Enjoy your vacation Murray, we wish we were there too! Oh I wish I could be there and we could dig a tunnel in the sand. OMD! Wows! I wish I were there too Murray!! 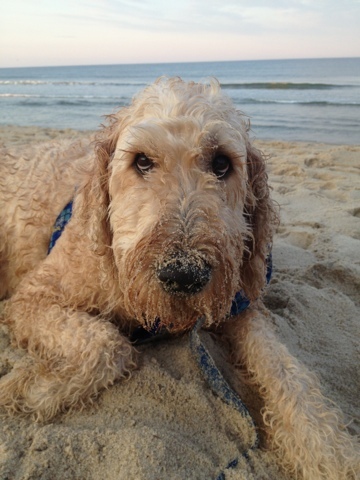 I loves the pic with your snooter all covered in sand! Pawfect! I Have a New Cousin!